We write on behalf of the Committee on Academic Freedom of the Middle East Studies Association (MESA) to express our alarm at the upholding of the death penalty of Dr. Ahmadreza Djalali by the Supreme Court on 9 December 2017. Dr. Djalali, a scholar of disaster medicine, was imprisoned in April 2016 on charges of espionage and sentenced to death on 21 October 2017, after having been forced to sign a confession relating to crimes against the national security of Iran. Dr. Djalali’s lawyers allege that the upholding of the sentence took place unlawfully, following a secret process during which they were not asked to file defense submissions. We call on the Iranian judiciary with utmost urgency to order Dr. Djalali’s release and safe return to his family in Sweden. MESA was founded in 1966 to promote scholarship and teaching on the Middle East and North Africa. The preeminent organization in the field, MESA publishes the International Journal of Middle East Studies and has nearly 3,000 members worldwide. MESA is committed to ensuring academic freedom of expression, both within the region and in connection with the study of the region in North America and elsewhere. Dr. Djalali, an Iranian-born permanent resident of Sweden about whom we have written to you before (see our letters of 6 February 2017 and 25 October 2017 ), was arrested by security forces of Iran’s Ministry of Intelligence in April 2016 while visiting Iran to participate in a series of academic activities. He had travelled to Iran previously on numerous occasions, without ever encountering complications with state security or immigration officers. The court verdict of 21 October 2017 claims that Dr. Djalali collaborated with the Israeli government. Yet in the confession tape that was aired on Iran’s state-run Islamic Republic of Iran Broadcasting (IRIB) service on 17 December 2017, neither Israel nor its intelligence service, Mossad, is mentioned. Instead, Dr. Djalali believes he was arrested for refusing to work for the Iranian intelligence service. During his long imprisonment, Dr. Djalali has been subjected to psychological torture, including threats to kill his children. He has undertaken several hunger strikes in protest of the unsubstantiated allegations against him. Dr. Djalali’s case mirrors those of Hamid Babaei and Omid Kokabee, two other academics who believe they were arrested and charged with crimes against national security following their refusal to spy on their Western colleagues or to lend their knowledge to military research in Iran. Dr. Djalali’s unlawful arrest and his subsequent conviction and sentencing represent a most egregious infringement on academic freedom and the pursuit of knowledge. In November 2017, the UN Working Group on Arbitrary Detention found that depriving Dr. Djalali of his liberty was arbitrary, and contravened relevant provisions of the Universal Declaration of Human Rights and the International Covenant on Civil and Political Rights. 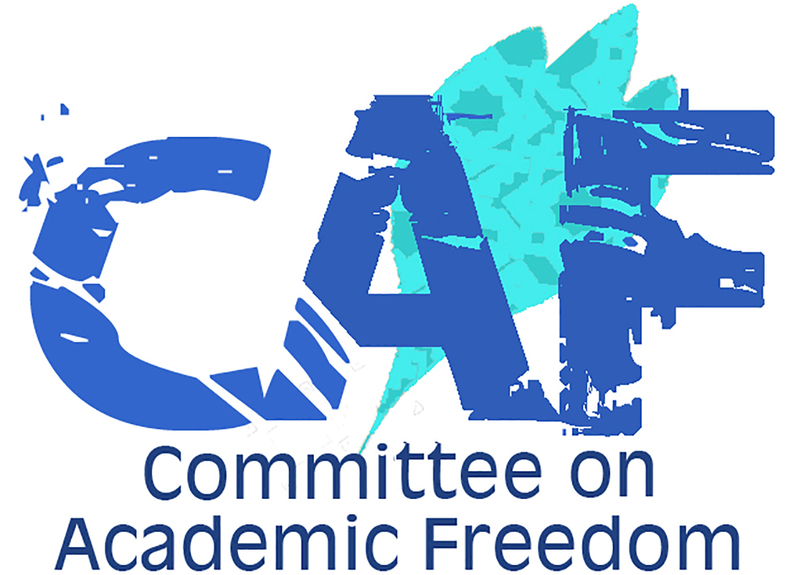 The Committee on Academic Freedom vociferously objects to these violations of internationally recognized rights and due process in Iran. We urge you to reverse Dr. Djalali’s capital sentence, and ensure his safe return to his family in Sweden. We call on you to see that his case is addressed in a manner consistent with internationally recognized standards of due process, fair trial, and detention in accordance with Iran’s obligations under international law.